While visiting Mt. Hood Meadows this weekend, I ran across this: The Mountain Metro (or perhaps the Snowbound Swift?). This isn't any ordinary Metro/Swift, though. 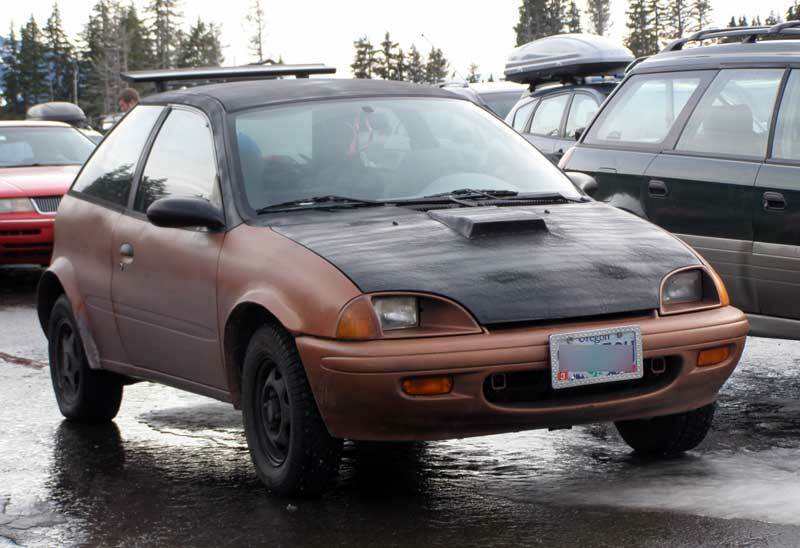 Custom hood scoop? Check. Custom fender flares? Yep. Rear spoiler? Uh huh. Do-it-yourself rattle-can paint job? You bet. I see it even has three alloy wheels and one steel one. Why not? In all honesty, it'd be a great little mountain vehicle. 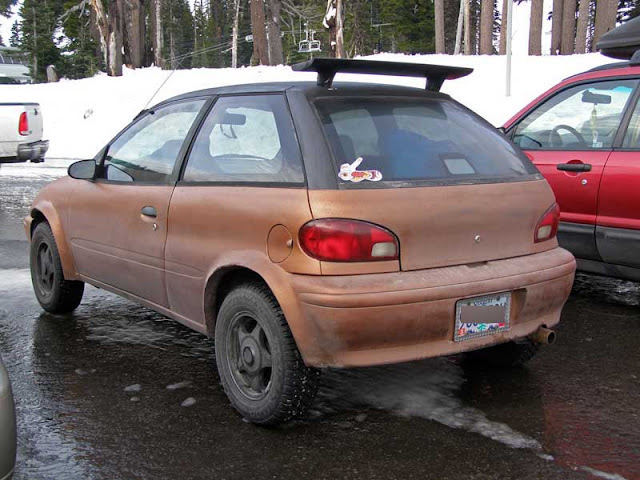 It's something that's somewhat safe, front-wheel drive, has studded snow tires, and you don't have to worry about the gravel and rocks ruining the paint job. I'm totally for it.What can I say? I've got a soft spot for winter cars and mountain-going Metros.